Blue Creek Equity Partners is a lower middle market private equity firm focused on logistics, distribution, and transportation services. We grow portfolio companies by providing access to resources including technology, marketing, product development and business development. Our experience, industry focus, and network of relationships allow us to source numerous investment opportunities. We’ve defined and developed a rigorous origination program that enables us to find the best opportunities through multiple channels. Mercury Air was a subsidiary of publicly-traded Mercury Air Group, which was seeking liquidity options. 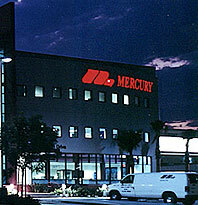 Allied Capital became a debt investor in Mercury Air Group through a note purchase in late 2003, which subsequently led to a buyout of Mercury Air by Allied Capital for approximately $84 million in April 2004. © 2010-2011 Blue Creek Equity Partners, LLC. All rights reserved.